In the last 10 years the growing interest for library records has continued to expand. Various rare sought after releases (in many cases never available to the public) have become rare gems in producers and crates diggers eyes. Library records were distributed to media publications and radio as TV, movie scores, jingles, interludes and quick musical intros and outros.These records became very popular and well known for their heavy drums, rare grooves, break beats, and drama samples. CJM label owner and long time record collector IDE has stumbled upon a very special ptoject in his pursuit for rare grooves. While traveling outside the country IDE was introduced to a old musician in France to discuss possibly purchasing some of the mans record collection. IDE found many great records that he purchased to bring back the states. The man mentioned a friend of his who had owned a record a label in the 70s that went broke and shut down before ever releasing any of its recordings, and how he was always talking about still releasing the music one day. After many phone calls they tracked the label owner down and set up a meeting. After IDE got the chance to hear some of the music directly off the old reals, he was set on releasing the catalog. 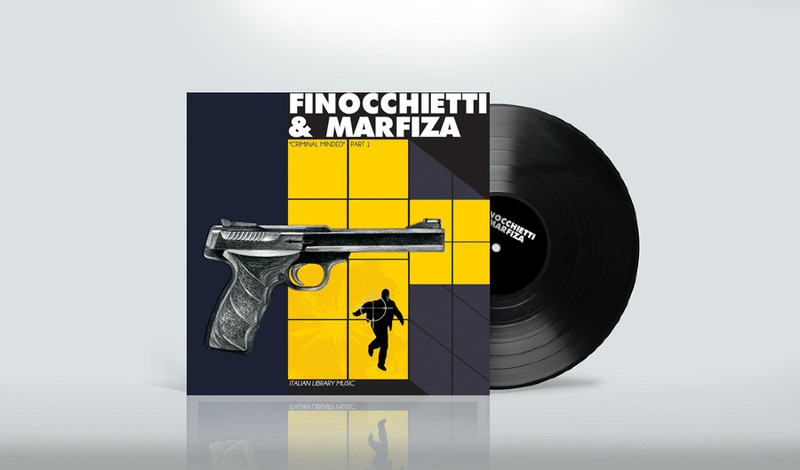 The first collection of tracks came from 2 Italian composers Finocchietti, and Marfiza. Its a library collection of psychedelic funk, and soul with heavy drum breaks, crazy synth samples, and tons of drama loops. After many meetings and agreements. Creative Juices Music purchased the rites to these collections of music, to be released for their first time ever. Executive produced and remastered by the Destruments to assure the utmost quality control for this rare occasion . The first of this vinyl series is “Criminal Minded pt1” All new original art by PJ of ShallowTree, this is something to pay attention for this year. This will be a massive item for any producer, DJ, or record collector. Snippets and more info coming soon!